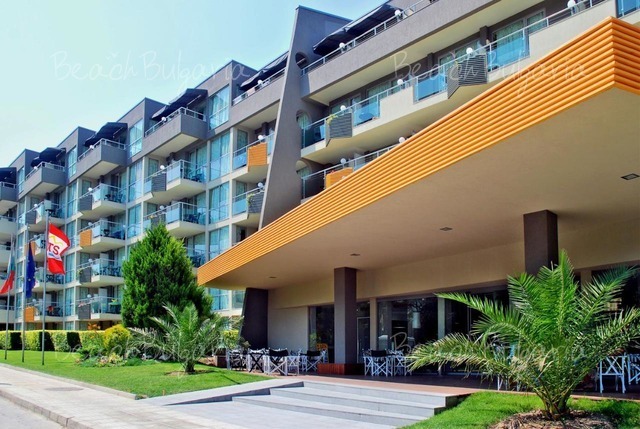 Music to stick in your mind! See it on the map... Arizona, with its new manager Jeff, is famous for its great selection of home made ranch burgers. They and the brunch menu including English breakfast, bacon butties, beans on toast are served till 6p.m. 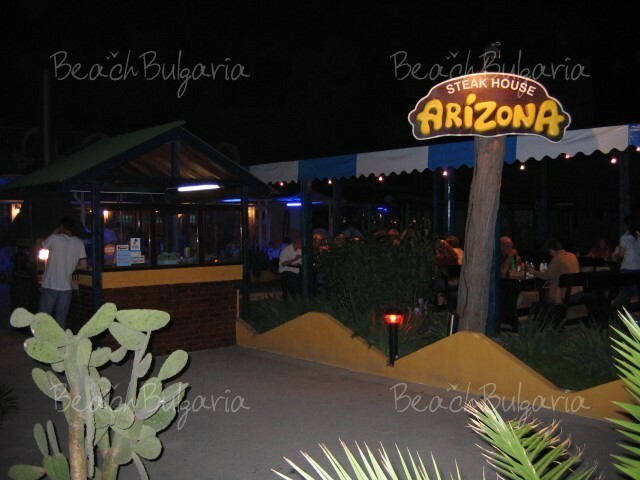 Arizona offers an absolutely perfect selection of BBQ specialities: lovely chargrilled steaks big, bigger and massive, T-bone steak, spare ribs, mix grill and more. 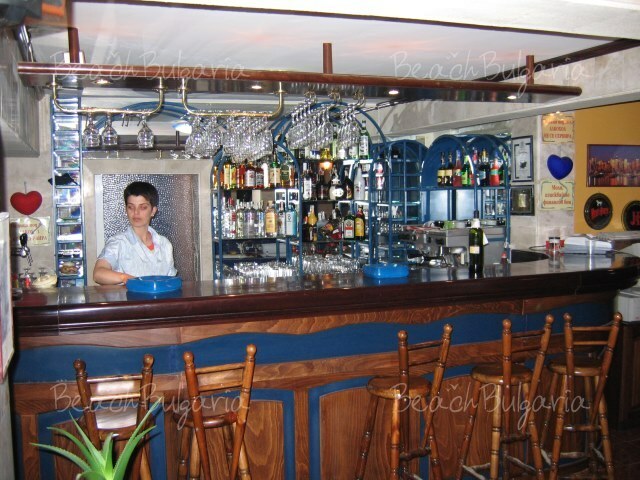 All the Arizona dishes are prepared with fresh ingredients. PLEASE PRINT THIS VOCUHER AND GIVE IT AT THE BAR. 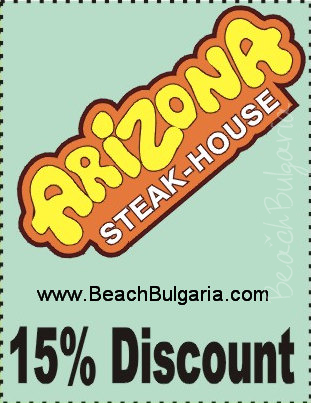 Every BeachBulgaria friend will receive 15% discount of the food menu by presenting this voucher to the waiter of Arizona in Sunny Beach. 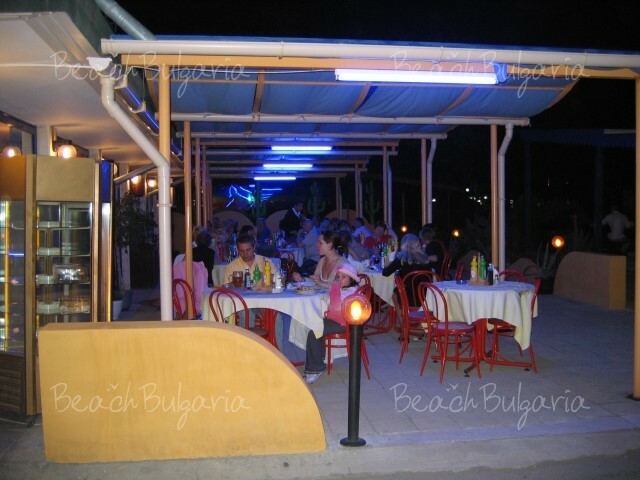 Please, post a comment on Arizona steak-house in Sunny Beach.